Noramie Festa Jasmin made History this week as the first female Mayor of the Village of Spring Valley NY and the very first Haitian-American mayor in New York State. Noramie Festa Jasmin, previously a trustee and deputy mayor of Spring Valley, was sworn in as mayor on Monday December 7, 2009, and she is the first woman to hold the title of "Mayor of Spring Valley NY" since the incorporation of the village in 1902. It's great to know, with so many Haitians living in the village of Spring Valley, that they finally have a Haitian-American mayor to represent them. Haitians are history makers and Mayor Noramie Festa Jasmin (fok nou ba li grad li), with the support of the Haitian community of Spring Valley, proved it once again that, when we get together we accomplish great things. Ayisyen Haiti yo... N-ap pran not? Now that Noramie Festa Jasmin is the Mayor... The Magistra... Fo-m diw kisa nou gen en commun! History has been made in my hometown of Spring Valley New York. 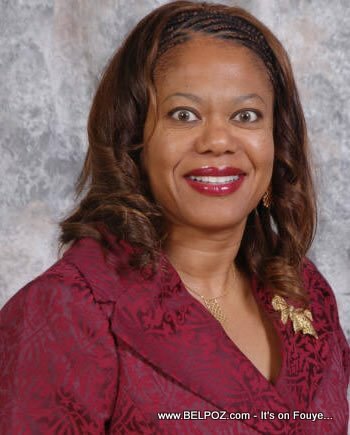 On Monday December 7, 2009 Noramie Festa Jasmin made history by becoming the First Haitian-American Mayor in the Village of Spring Valley and in the state of New York. The event was attended by more than 600 people at the Town of Ramapo Cultural Arts Center. In addition, representatives throughout the state and Haiti were in attendance. « Car Accident in Haiti: Haitian Artist Papy Love is Dead! I think you don't know Spring Valley, NY. There is nothing "ghetto" about Spring Valley.